The Miniature Pinscher is known by many names including Min Pin, Reh Pin and King of Toys. Today this dog breed is a revered show and companion dog. People often think there is a relation between the Min Pin and the larger regal German Doberman Pinscher. In fact; there is none and the Miniature Pinscher is actually the more ancient of the two breeds. Let us study everything you need to know about this toy breed including where to find Miniature pinscher puppies on sale as well as their temperament and lifespan. The German Pinscher originated in Germany and later in Scandinavia in 1700s; they were mainly bred as ratters. It is believed that breeds like the Dachshund, Italian Greyhound and certain terriers may have been used for developing the Mini Pinscher. The breed’s standard states that their ears must always be erect. 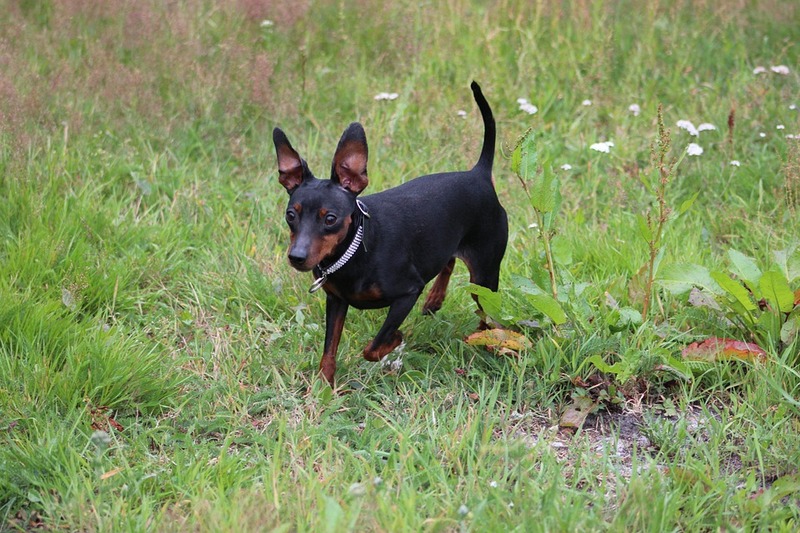 In the United States, all Min Pins have erect ears which may be surgically made so, or natural. 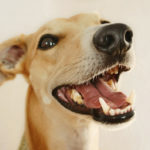 The dog’s vibrant personality and intelligence have made it one of the most popular breeds in Denmark, Netherlands, Italy and the British Isles. Height and weight- Standard height for the Min Pin is between 10 to 12.5 inches and weight between 8-10lbs. The tan versions of the Min Pin look like Chihuahuas whereas the black and tan versions look like a Doberman Pinscher mini me. Where to get your Miniature Pinscher puppies from? You can choose to adopt a Min Pin from a rescue shelter or go to a reputable breeder who has mini Pinscher puppies for sale. When it comes to picking a breeder, do not get carried away by flashy advertisements in newspapers or magazines. 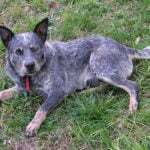 The genuine breeders are quiet and unassuming and truly care for their pups. Your vet can guide you to good breeders. Alternatively, you could visit a few dog shows and talk to dog handlers or breeders there. 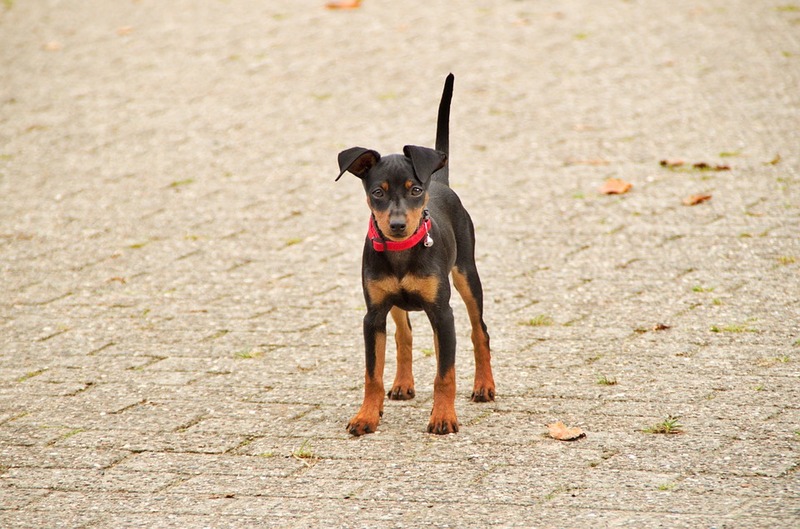 Once a mini Pinscher litter is available, choosing a puppy might not be the easiest task. All those cute faces will leave you confused and you’d probably want to take them all! Each pup will have a distinct personality and temperament. So observe each puppy carefully. Also take a look at your own personality as well as those of your family members. Shy and quiet puppies prefer quiet households with few children and less noise. Bold and boisterous puppies on the other hand might get along with older children and adults. Your breeder will likely ask you all these questions and guide you to the right puppy. If you contact rescue shelters nearby, chances are that they might have full grown Mini Pinscher puppies or mixed min Pins as well. However, adult dogs come with their own set of behaviors and fixed ideas about humans. Training an older dog can also be slightly difficult. Abused and traumatized dogs can take some time to trust humans again. However, you will probably save a life when you adopt a full grown Mini Pinscher. Often, humans are unable to handle dogs who then end up in such rescue homes. So bringing home an ‘unwanted’ dog is the kindest service you will do. If you decide to adopt a mini pinscher Chihuahua mix, then too rescue shelters are your best bet. 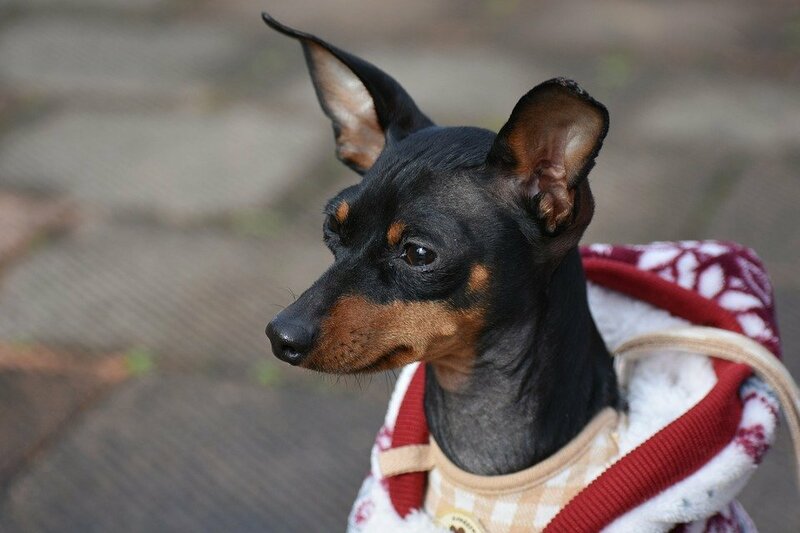 Alternatively you can find trusted and ethical miniature pinscher breeders nearby by visiting the official website of this breed. Remember, you must choose a breeder you are comfortable with. You should feel comfortable calling this person numerous times and not be made to feel a pest. A good breeder will want the best for his miniature pinscher puppies and would love to take the time out to answer all your questions. Your Min Pin will be quite a handful- they have the energetic personality of terriers and will certainly not be content to sit on a silky cushion all day long. Note that not all Mini Pins are good with children; if they are annoyed or irritated, they won’t hesitate to bite. Early training and socialization is a must to ensure that your Min Pin knows all your household rules. Never give in to this dog’s demands or else you will find yourself the subject of a foot-tall tyrant. 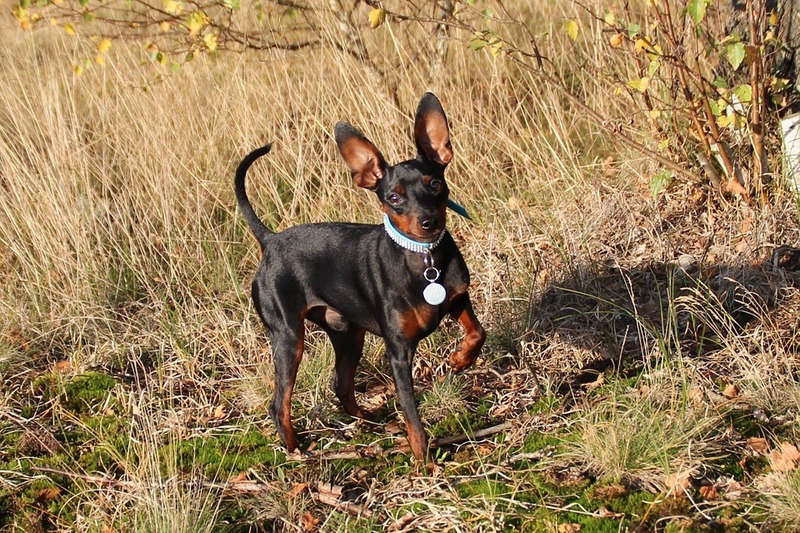 Miniature Pinschers are fast runners; after all they were bred to be ratters. So always keep an eye on your dog in public. Take precautions to keep him leashed outside and also have your home and yard secured if you do not want them to run away. Min Pins require moderate exercise- a stroll down the block once a day is adequate for this pet. Owing to their small size, they make ideal pets for apartment dwellers. Min Pins hate being left alone and they are ferocious barkers. To solve this issue, you can always get another Mini; trust me-you’ll have the room. Min Pins make great little watchdogs; they will bark at strangers and outside disturbances. Crate training is the best for toy breeds like the Min Pin. Buy a crate large enough for your dog and if needed, section off a part of it. This way, your pet will not soil its sleeping quarters. Make the crate comfortable by adding in toys, blankets etc. Very soon your pet will start enjoying its home-inside-home. Apart from crate training, you must also discipline your pet. Obedience training is very important else you’d end up with a dog that annoys you and could even cause family friction. Enroll your pet in good puppy classes near you. Here he will learn basic manners and also ways to socialize and interact with other dogs. With the help of a trainer, find out how to communicate with your dog. 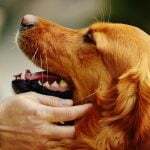 Learn to understand what his barks mean and soon you will have an intelligent, friendly and fun companion who is well behaved and great to be around. If you choose to train your pet at home remember that all puppies respond to positive, consistent and reward based training. With his short shiny coat, Min Pins almost always look good. They do not need too much bathing. A simple wipe down with a wet cloth can also help. However, you must brush the shot coat daily to stimulate natural oil glands and remove bugs and parasites. Bathe your pet once a month. Check its ears from time to time and also trim the toenails. Brushing your pet’s teeth once or twice a week can prevent dental issues. Mini Pinschers are generally healthy. They have a lifespan of 12-14 years which is longer than that of the Doberman Pinschers having a lifespan of 10-12 years. Common health issues in Min Pins are joint problems and eye issues. Pregnancy can also be rather difficult- so do monitor your pregnant Min Pin closely. Most puppies are born with floppy ears so if you want them erect, surgery may be an option. Doberman Pinscher – An Elegant Breed with Beauty And Brains!